Today is the day when I write my 100th post on the blog. 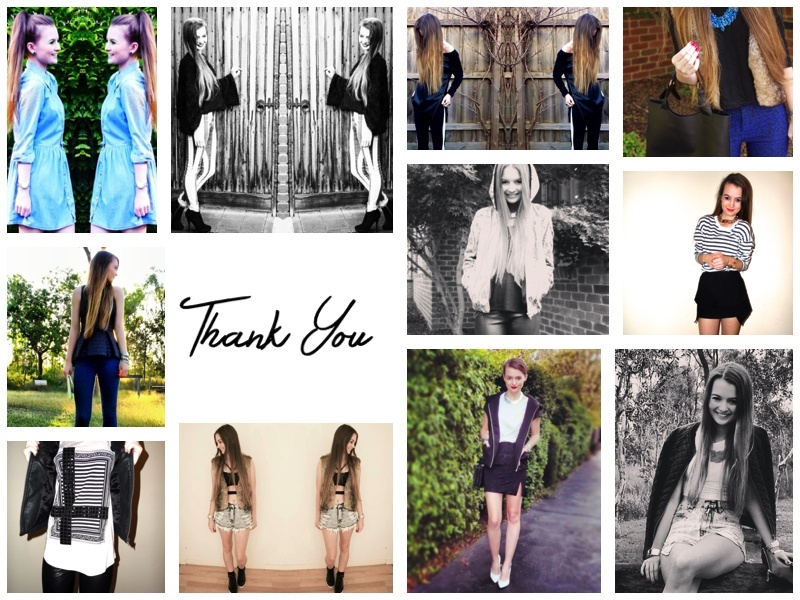 I certainly can’t believe I’ve done 100 posts and it’s crazy to see how far they’ve come! I look back and think ‘Is that all?’ and ‘Wow, I posted that?’ But you’ve got to start somewhere and I’m so happy to see how Peachy Style has evolved. Back in February, it was a girl who was about to start university and the inspiration of one special person to actually do something I love. When I finished school, I honestly had no idea what I wanted to do and to be honest, I still don’t really have a clue. However, that is the most exciting part! I love being organised and knowing exactly when things are and when they will happen; but what in life is planned? I can try my best to plan out one year of my life but I know that I will meet different people, experience different things and certainly evolve from what appears to be my path, to what my actual life pathway is. I guess what I’m trying to convey is that everything happens for a reason! When I finished my year 12 exams last year I was so anxious about the number; but then all of a sudden someone came to change the way I view myself and to show me what’s really important. The night before I got my score I didn’t care one little bit. Sure, I hoped to get above a certain ATAR, which I did, but that’s not the point of it. I have many friends who are in year 12 at the moment and I understand how bad it can be because as you approach the end of the year, you think it’s going to get much harder, but it just gets BETTER! Just think how many days you have until you never have to attend that place again! I’ve always been one to be optimistic and that’s what will get you through. I also said I would never do a gap year, but here I was 2 weeks after I started Uni wanting to take a gap year as soon as I could. I ended up taking six months off and am currently studying Public Relations with Swinburne Online, which I really enjoy. 2013 has been a year of new things and stepping out of my comfort zone. 9 months ago, I would have thought I’d be stuck here in Melbourne, maybe studying some communications subject at Swinburne or something alike but that’s not quite how it has gone. I have had the chance to fly up to Queensland 7 times this year, experience some new jobs, have some highs and some lows but one thing that has remained the same is my love for styling and my passion for fashion. I’ve got a passion and I am certainly going to pursue this for sure. I really do want to thank all of you that click to see peachy style because it really does make me so happy. I’ve been featured on Instagram and Facebook pages such as With Love Kirsten, Glassons and Hush Market this year and that excites me greatly. I love being able to share my style with you all and I can’t wait to see where Peachy Style goes in the future!